Last night I was on This Week in Books! Check out my interview here! Wow. That beats even the skull cake you put up a while back. 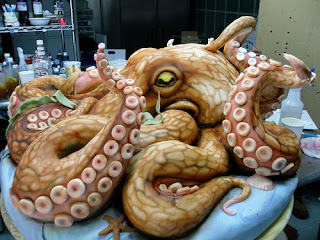 that's the most amazing cake i've ever seen!! i didnt know u had a daughter! i like small children. even when their fav game is tag. how old is she? that's a cake? i need a mini one! it's soooooo awesome! that lady is nuts in the good kinda way.